Sky Guide makes stargazing simple. Just hold it overhead to automatically find stars, constellations, planets, satellites and more. With so many fun and powerful features, there is something for all ages and experience levels! Is it a star or the planet Mars? Knowing what's up in your night sky is now effortless with Sky Guide. Hold your iPhone or iPad up and Sky Guide automatically aligns itself to the stars above you—no setup required. Have you ever wished you could recognize the constellations but didn't want to study those paper star charts? Sky Guide's augmented reality (AR) mode makes learning your way around the sky clear and effortless. Whether you're in search of the constellation Virgo, the Andromeda Galaxy or the next big meteor shower, Sky Guide is jam-packed with information and rich graphics that will satisfy the most curious minds. Voyage to the past and future with cinematic time controls. Know where the Moon will be later in the evening so you can capture that perfect photo. See what the sky looked like the moment you were born or be an eyewitness to history's greatest comets. It's a star! It's a plane! No, it's a satellite! Sky Guide features hundreds of bright satellites for you to identify and track. You can also receive notifications whenever the International Space Station flies over your location. Use Sky Guide anywhere—on your evening dog walk, camping trips or in the classroom. The app works with or without Wi-Fi, cellular service or GPS, so everything is at your fingertips no matter where you go. - Huge stellar catalog: 2.5 million stars! - Filter: X-ray the sky and explore invisible wonders. - Red night mode: Preserve your dark-adapted eyesight. - Notification Center Widget: At-a-glance essentials including rise and set times for the Sun, Moon and planets. - Apple Watch: Sky Guide can send you a notification when an event is about to happen in the skies above your location, like when the International Space Station is due to fly over. You can also keep tabs on the latest solar activity or add our super-accurate Moon Complication to your Apple Watch face. 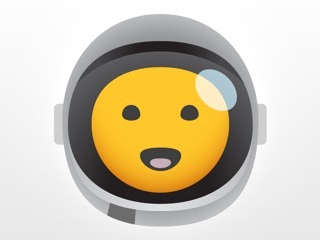 Join the millions who have discovered a more personal connection to the stars with Sky Guide. It might forever change the way you look up. 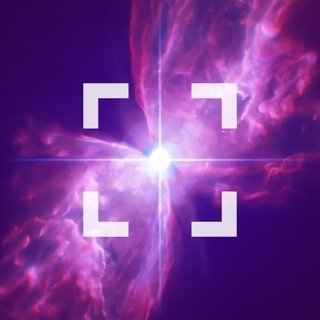 Study thousands of stars, comets, and satellites with Fifth Star Labs’ stunningly gorgeous astronomy app. Using a built-in compass, Sky Guide lets you easily locate constellations and other celestial bodies—or you can simply hold up your device and learn more about what’s in front of you via dramatic photos and detailed descriptions. A stirring soundtrack and a time-lapse feature that shows where the moon and other objects will be later make your stargazing experience even more enchanting. I just watched PBS's new 2-hour special on the Voyager 1 and 2 spacecraft. It began giving me a sense of this grand scale of a solar system we live in... a perception only reinvigorated few times through the words of someone like Carl Sagan describing the Pale Blue Dot. I looked at my phone and immediately opened this app again to just look at space. As I wondered to my back door I realized that I was fortunate enough to be waking outside into a cloudless night. I turned on night view mode, turned down my display brightness, and let the ambient music of this app play. I was alone, along with the living silence of night with the smooth, soothing music playing on the app. I looked up with my phone, navigating amongst the constellations, in awe at how the sight could be so beautiful, seemingly unique every time, and so often taken for granted. Realizing the opportunity, I searched for satellites via the app and eagerly moved my phone around the sky to track the paths of Coos Rockets that were flying by and anticipating the next flyover from our man-made moons. As much as I adore the night sky in all its grand beauty, this app makes exploration even more satisfying, concise, and exploratory than I otherwise would have been able to do. Thank you. Had this app for a while and still my favorite. However, I’m confused about the updates. There was a recent update that added Chiron, for example, but it is not listed under the “recently added” section. Additionally, even when I look for it manually, it just points to where the object is, but there is no image associated with the description, nor can you zoom into it. At the same time, other recently added items, such as RS Puppis, has the image and location, but no description (you have to tap on the image of the star within the image - like a star within a star - to get a separate description). Doesn’t seem like the recently added section is working properly within the app. Is it just not updating correctly or am I missing something??? Also, since very recent updates, the star brightness feature that requires 2 fingers to adjust directly on the screen is so overly sensitive that I am constantly having to adjust the brightness as I navigate the sky map. Very very frustrating. Is there no way to lock that feature or disable it? Thanks for the feedback. We goofed on forgetting to add Chiron to 'Recently added'. Sorry about that. Also, we made some changes to the way sky brightness works so it is helpful to know that is being too sensitive for your usage. We'll try making some refinements to that. Space is big. See more of it.